This week, Your News to Know rounds up the latest news involving precious metals and the overall economy. 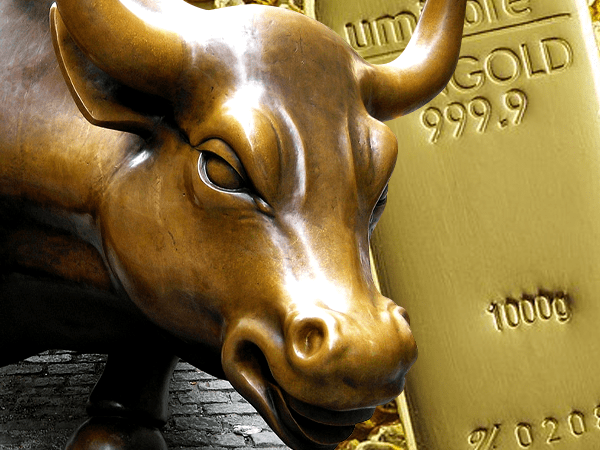 Stories include: 3 reasons why gold market could run with the bulls, silver could break its resistance, and billionaire investor Sam Zell turns to gold. According to Reuters columnist Clyde Russell, the very same drivers that propelled gold to its all-time highs between 2008 and 2011 could be making a comeback. In a recent Newsmax article, Russell outlines the three main supporting factors that backed the crisis-driven price spike and why each of them have made a return. The first is an increase in physical demand from India and China, which has traditionally played a major role in overall gold demand. Signs suggest that the world’s top gold buyers are looking to intensify their purchases, with net gold imports from Hong Kong to China rising by 28% between October and November. The upcoming wedding season in India, along with the end of an austere religious period, also bodes well for the gold market. Second is central bank demand, which Russell sees as a key driver for gold prices. In recent months, central banks around the world have upped their bullion purchases, with several previously-absent nations making multi-ton acquisitions. The World Gold Council recorded that central bank gold demand totaled 148.8 tons in the third quarter of 2018, a 22% increase year-on-year. Russell’s third reason is a renewed appetite for safe-haven assets among Western investors. Whereas the 2008-2011 price spike was powered by investors reeling from a recession, the upcoming gains could see market participants preemptively turn to gold as the stock market begins to wobble. Global growth concerns, the U.S.-China trade war, a dovish shift in Fed policy, and geopolitical strife are all factors that could expedite this process. With so many tailwinds working in its favor, Russell believes that the stage is set for gold to finally break above $1,380 an ounce, its highest point in the past five years. In a recent analysis on Seeking Alpha, the analysts at Bullion Exchanges examined silver’s prospects for breaking above its next resistance level. Thus far, the focus has been on the skewed gold/silver ratio, which rose to historic heights amid disproportionately low silver prices. Many pundits expect silver to catch up with a major price burst in the near future. Bullion Exchanges’ analysts believe that silver’s greatest hurdle lies in its next resistance level. An overview of the long-term chart shows five separate resistance levels converging between the $15.80-$16.70 range. The strength of the resistance means that silver will likely face selling pressure at each of those points, along with the threat of nearing recent lows. However, the position of the gold/silver ratio seemingly assures that silver will clear each of those levels in the near term. The ratio has only climbed as high three times in over the past two decades, and each of those climbs were followed by considerable price gains for silver. The analysts notes that a breakout above $16.70 will be a highly bullish signal. After that, they place their 12-month target for the metal in the low-to-mid $20s, with ample potential to go higher from there over the longer term. As domestic investors come to terms with a sudden return of volatility, some of the world’s richest businessmen are wasting no time in adjusting their portfolio accordingly says Kitco. The latest entry into the group of billionaire gold investors is Sam Zell, who told Bloomberg that he just purchased gold for the first time. In the interview, the founder of Equity Group Investments pointed to a dearth of mining prospects as the main motive behind his decision. Zell explained that large miners are spending most of their capital on acquiring smaller firms as opposed to prospecting and mine expansion, which dims gold’s supply picture considerably. Besides an upset to the supply-and-demand dynamics that will be favorable for gold, Zell also said that the metal stands out as a useful hedge, especially in the current landscape. In recent months, geopolitical turmoil and stock market wobbles have once again placed the spotlight on gold. Other billionaires who made substantial bets on gold include Ray Dalio, the CEO of Bridgewater Associates and an outspoken proponent of bullion. Like many experts and money managers, Dalio advises a portfolio allocation to gold of up to 10%. David Einhorn is another famous gold bull, and his Greenlight Capital fund continues to have a substantial exposure to the metal. Doubleline CEO Jeffrey Gundlach likewise maintains that gold is scheduled for a major bounce that could see prices gaining $1,000 or more. In a recent Twitter post, analyst and publisher of The High-Tech Strategist newsletter Fred Hickey said that these high-profile entries could be what gold needs to cement its position above $1,300.